Basically, there are two rental seasons in for students at Northern Iowa. If you're looking for a house for rent in Cedar Falls near campus, with four bedrooms and a great price point, you'll want to start contacting landlords as early as October. That’s right. A month or two after you move in, you’ll have to start looking for next year. Such is the life of a college student. Most students that are living with friends get their lease signed before the end of the first semester. But if you're interested in an apartment in Cedar Falls that’s a little further out or with just one roommate or less, you'll be able to find a good place through March. One of the best things about living off-campus at UNI is how affordable it is. If you're willing to put up with a few roommates, you can find fantastic housing in the Cedar Valley for less than $400 per month and even as cheap as $225 per month. Yeah, you may not be in a major metropolitan city and you’re not close to an ocean or on a coast or anything, but the rent prices can’t be beat. No matter what, if you start looking in October, you'll find something great and avoid breaking the bank. Reviews of Rent Cedar Valley center on the superior maintenance and communication they offer, which is incredible when considering the vast number of properties the company maintains. Multiple reviewers commented on how long they’ve been renting with Rent Cedar Valley, with one reviewer mentioning she’d been at RCV properties for over five years! CVPM is all service. They take care of residents and management is very hands-on with any concerns. 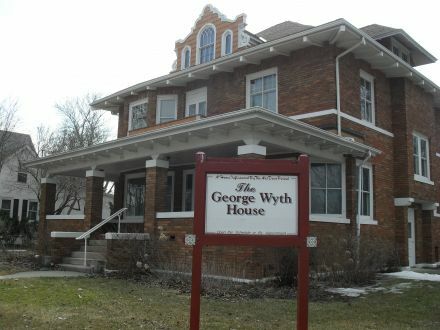 They have a variety of houses and apartments throughout Cedar Falls that cater to both undergrads and grad students at Northern Iowa. Unexpected move-out? No problem. The management at Thunder Ridge understands that sometimes things happen that aren’t always in our control. A landlord whose sole focus isn’t revolved around draining you of every penny you have is always something that should be appreciated. The University Manor Apartments are quite literally a home away from home. The warm welcomes and friendly staff do a great job in making everyone feel like they are a top priority. Living somewhere nice doesn’t always have to be expensive. The Hillcrest Park Apartments understands that having an affordable rent doesn’t mean that there needs to be a cut-back anywhere else. They pride themselves on providing top-notch service. Do you like coffee? Pastries? If you said yes to both of those questions and are considering renting from Hidden Valley Apartments, you’ve made the right choice. Courtesy of the super-friendly staff, there’s coffee and pastries in the central office 24/7 for tenants. Nothing is better than being appreciated by your landlord. With giveaway prizes, free food, and coffee, it’s clear that University Mills values their tenants. The social atmosphere also allows for residents to get out of the house and do something other than attend class. College Hill is a strip of bars located on College Street (appropriately enough), where many students hang out on the weekends. It's basically UNI social headquarters once classes are out, especially for students over 21. The Big Woods Lake Recreation Area is a popular sojourn for students interested in kayaking, camping, hiking and more outdoor activities. And while Cedar Falls isn't a famous party town by any stretch of the imagination, you’ll still be able to hit up football games and tailgate. Northern Iowa has turned out some impressive football talents over the years, like Kurt Warner, David Johnson and Bryce Paup. The team is Division I-AA and almost always good. If you’re not much for sports, it can take some work to find out what there is to do on any given weekend. Your best bet is to make some friends early on in the dorms and latch on close to them. They'll be your bar compatriots eventually and help you find out where you need to be on College Hill on a Saturday night. With just 13,000 students, Northern Iowa doesn't really dominate the entire city in which it is housed, the way some larger universities do. But UNI still passes what we call “The Wikipedia Test.” When you look at the Wikipedia page for Cedar Falls, within the first paragraph the University of Northern Iowa is mentioned. Make no mistake, Cedar Falls still has the feel of a college town, especially on basketball game days. The Panthers have made six NCAA tournaments since 2004 and advanced to the Sweet 16 in 2010. So it's worth your while to make it to a few men's basketball games. 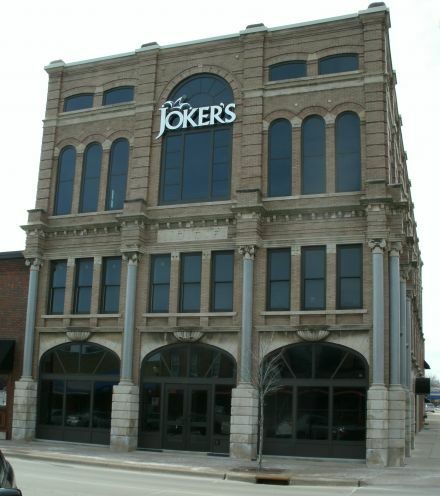 Running alongside the Cedar River is historic Downtown Cedar Falls. 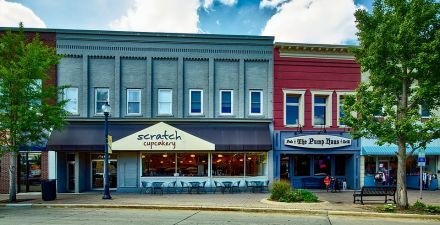 The charming Downtown area is the epitome of a Great American Main Street and has several blocks of eclectic shops and locally owned restaurants. Signs along the street lead residents and visitors around the area and to many historic landmarks.The area is easily walkable, great for bike riding, car-friendly, and you can even take the trolley system around the area. On Thursdays, many of the businesses stay open later and throughout the year many events, like ARTapalooza and Hops on Main, are held. The Whitewater Park is a great spot for residents to enjoy over 100 miles of trail systems that run adjacent to Downtown. There are several art and entertainment venues, museums, and the popular SingleSpeed Brewing Co. to visit. The area has plenty of apartments for a variety of different residents from students to retirees. For three seasons out of the year, the community can also enjoy the open-air farmers market to buy fresh veggies, fruit, and dairy products. Primarily a residential neighborhood, Northwest, is located north of University and west of Downtown. 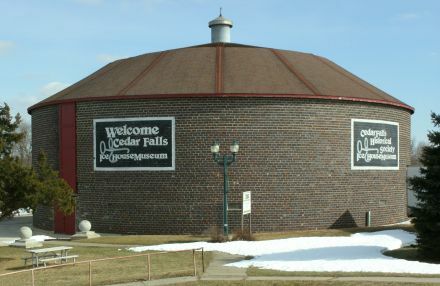 Northwest has an elementary, middle, and high school, so the are certainly draws in more families.Cedar Falls has two golf courses and the popular Pheasant Ridge Golf Course is located in Northwest. Next door to the golf course is the Robinson-Dresser Sports complex that is home to the UNI softball team and provides people of all ages with baseball diamonds and tennis courts. After a game, a favored spot is 4 Queens Dairy Cream for some ice cream. For running errands or grabbing groceries residents can stop at Walgreen’s of or Fareway Grocery. As you continue to travel north of Downtown Cedar Falls and over the Cedar River you are entering the North neighborhood. Much of this area is wooded and houses, mainly family occupied, are scattered about. The neighborhood is perfect for any outdoor lover as this is where Black Hawk Park, a popular camping spot, and Big Woods Lake are located. The trail system also runs through North and residents can take in the beautiful scenery. Being that the North neighborhood is primarily wooded, there are fewer businesses located in here. However, you can find a Dollar General, Casey’s General Store, and Mary Lou’s Bar & Grill. The University neighborhood is appropriately named for being home to the University of Northern Iowa campus. On campus, student and Cedar Falls residents alike can take advantage of the many activities and events. The Gallagher Bluedorn Performing Arts Center has over 300 shows every year from small musical performances to Broadway shows in each of their three concert halls. There is the McLeod Center that hosts home basketball and volleyball games as well as providing a space for concerts from many popular artists like Luke Bryan and Florida Georgia Line is scheduled to play this April at the UNI-Dome. Besides a concert venue, the UNI-Dome is home to track and field events and football games, go panthers! Aside from the University of Northern Iowa, the majority of the neighborhood is farm fields and off-campus student housing apartments like the Quarters at Cedar Falls. Walking to College Hill is just a matter of minutes from University and Downtown is less than two miles away. The Industrial Park neighborhood district of Cedar Falls is located off of HWY 20 and is accessible by the Cedar Falls trail system. Getting its name from the many businesses located in this neighborhood, there are many locally owned and operated companies but also national companies like the Target Distribution Center and Bossard. As Industrial Park began to expand, more retail shops have gone up like Menards, Blain’s Farm & Fleet, and Wal-Mart Supercenter. More restaurant chains like Culver’s have been built, too. Industrial Park has more permanent residents and families due to a large amount of subdivision communities located in the neighborhood. Industrial Park also includes the Cedar Falls Visitor Center and both the North and South Prairie Lakes. College Square, located east of College Hill, is right down the road from the University of Northern Iowa. In the middle of the College Square neighborhood is the College Square Mall which has nearly 50 different stores like Von Maur and Bath and Body Works for residents to shop at. The neighborhood has several residential communities and various apartment complexes. 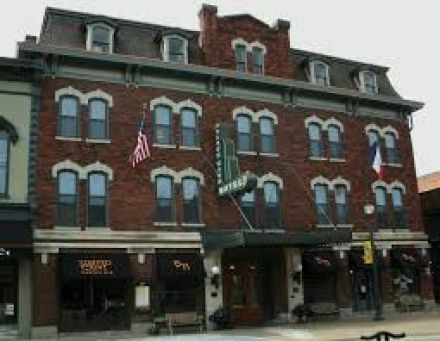 In addition, College Square is home to many national chain coffee shops, stores, and restaurants like Texas Roadhouse, Panera, and Buffalo Wild Wings. The Hart Reserve Nature Center trailheads also begin in College Square. 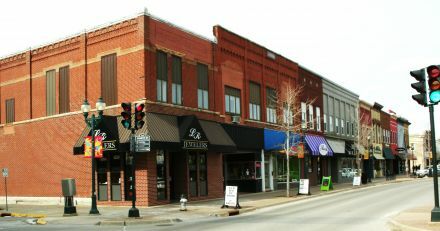 Located in the heart of Cedar Falls, just adjacent to the University of Northern Iowa campus, is the lively College Hill neighborhood. A diverse mix of students, faculty, families, retirees and other permanent residents call this vibrant College Hill home. The tree-lined, walkable streets boast both contemporary and historic housing that were built around the turn-of-the-century. As part of the College Hill Urban Revitalization Plan, many of the older homes are undergoing improvements to increase property values. In addition, many of the older homes have been turned into student rentals or town down for apartments to be built. 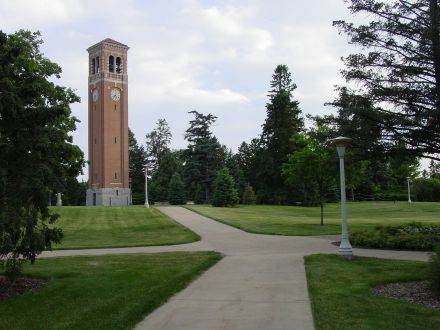 Many of the residents choose College Hill for the close distance to the University of Northern Iowa campus, in addition to the abundance of entertainment and restaurant options, and a booming art scene. Residents can enjoy a great diversity of shops, nightclubs, and businesses in College Hill, like the Hearst Center for the Arts. Here, you can enjoy two galleries, a sculpture garden, and recital hall. During the summer months the neighborhood hosts the College Hill Arts Festival and on each Thursday there is an open-air farmers market.